Boil the spinach along with tomato and let it cook for 10 mins. Cook the dhal for 3 to 4 whistles and keep it aside. Add salt and hing to the mixture. Add the tempered items to the spinach mixture. Thats it!! Keerai masiyal is ready. It will taste best with potato fry or any spicy side dish.. I had no potatoes today so made kovakkai porial which will get along with keerai masiyal! One of my friend in the apartment was asking for chocolates after coming to my home. I didnt have chocolates at that time but some where in my mind this microwave chocolate cake stroked! Immediately found the source! The post was from Rak's kitchen. Tried and it was just awesome! Refer the original recipe here. Mix the flour, cocoa, sugar and baking powder together. Add milk and oil, blend well. Thats it!! you can taste the awesome soft cake just like that or add a chocolate icing and enjoy! Trust me, this was the best and simple cake i have ever tasted! How to peel the garlic! Easy way to peel the skin of the garlic!! 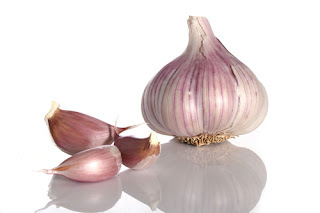 I know how difficult is to peel the skin of garlic when we need them in every recipe!! kind of a boring process when we dont prefer for ready made ginger garlic paste thats available in stores... :) For me, the home made ginger garlic paste only works as its fresh and the aroma from it totally differs from the store ones.. I usually grate the ginger and garlic instead of grinding as i have to wash the big jar of the mixie for which i am so lazy to do!! So the best way is to grate and use instantly!! It is very difficult to peel the skin of the garlic and i do it by 2 ways. one is soaking the garlic in hot water for 4 mins and then it becomes easy to peel the skin of the garlic. The other one is to microwave the garlic for 30 sec which will make the garlic cooked as well we can easily remove the skin!! Its been a very long time since i blogged...was totally having fun in outing, being tired and taking rest!! so planning to complete all my drafted recipes one by one...! 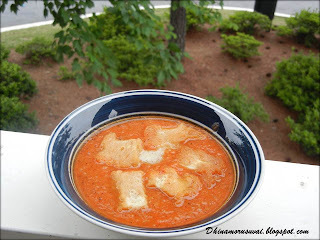 it rained heavily s'day and tried this soup as we started liking tomato juice and all the combinations of tomato.... This is an easy recipe and can be done in 20 mins..
Heat a pressure cooker, add melted butter and saute cloves,bay leaf, onion and ginger garlic paste till the raw smell leaves. Add the tomatoes, salt and pepper, saute for 2 to 3 mins.Add half cup of water and pressure cook till you get one whistle. After the steam is released, heat the solution for thickness. We normally buy murukku from shops..... only after marriage, due to B's love for all these snacks i attempted to make murukku, thattai, karasev,ribbon murukku etc at home.. Now its me eating these stuffs a lot then him! 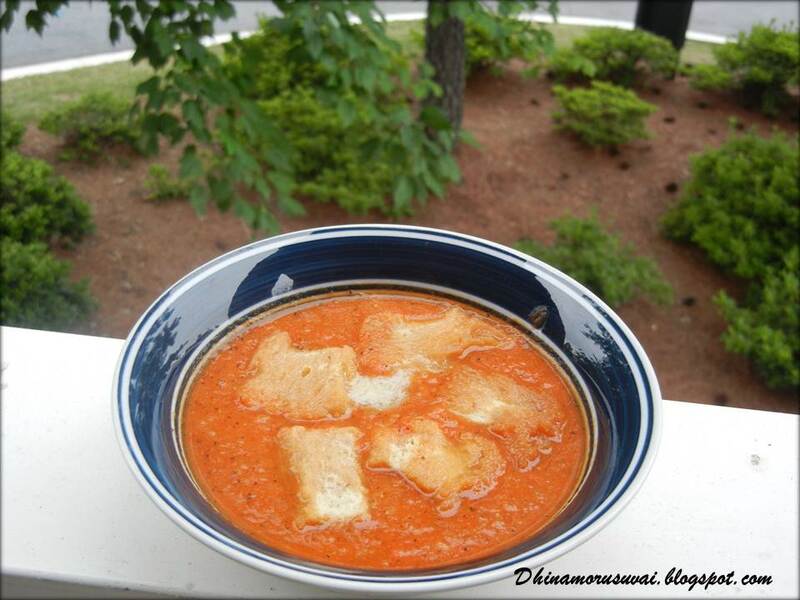 This is normal and a very easy recipe done by everyone, still wanted to post in blog! Here we go!!!! I pressed in a laddle and then transferred it to the oil as its the easy way. You can use any type of achu that you like. This type of murukku will be very crispy and i'm sure you wont stop with one! Bored of cooking chicken in a same way everytime?? Try this one and i am sure, you will love it the same way as we loved! Yes this is a sort of long process, but worth the wait..! i got this recipe from my friend "V", who is very famous for her sweet recipes like chakkarai pongal, ulundham kanji and so on.... Dont be taken aback on looking the ingredients! will take only half an hour once you are organized with the ingredients.. Now to the recipe! Other Ingredients are red chilly powder, water and salt as per your taste. 2. Heat oil in a wok and add "To roast and grind" ingredients one by one. 4. In other wok, add oil and "To Temper" ingredients and saute well. 7. Add chilly powder,salt if required. 8.Add half cup of water and let it boil. 10. Its up to our choice to cook as per the consistency. I am sending this recipe to Chicken feast in My spicy kitchen! Been a long time since i posted! was raining today and wanted to try a sweet snack to munch! Posting my fav snack pori urundai ~ rice puffed balls. A simple yet a very sweet snack! Melt jaggery by adding half cup of water, filter it to remove if there are any impurities. Add cardamom powder and 1tsp ghee to the filtered jaggery and keep stirring it in a medium flame. Mean while dry roast the puffed rice in other pan after adding a tsp of ghee. When you place a tsp of jaggery syrup to water in a plate,it should not dissolve,but you must be able to make a hard ball out of it or you should get a sting consistency.It is called paagu padham in tamil. Grease your palm with ghee and quickly make balls out of the mixture, when the heat is bearable.Initially you can make rough balls and then you can shape it nicely. 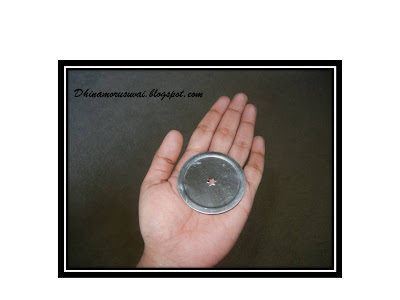 If you are not able to hold as balls grease your palm with rice flour and then try to shape it. Not getting a shape at all, no worries. Eat as such and enjoy it. All content in this website including text and pictures is copyrighted and belongs to me. Theme images by molotovcoketail. Powered by Blogger.